The residents in the Buffalo Community of Union County, SC will notice the continuation of sewer improvements in the coming weeks. The construction of this Community Development Block Grant Sewer project is scheduled to begin in January. Smith Backhoe and Construction Company of Union, SC is the general contractor for the project and Brian Green with Rogers and Callcott Environmental of Greenville, SC will serve as the engineer for the project. 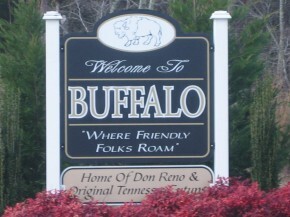 Union County was awarded a $500,000 Community Infrastructure Grant by the South Carolina Department of Commerce in 2012 to continue upgrading the sewer system in Buffalo. The City of Union is the sewer service provider to the Buffalo Community and is a Sub-Recipient of the grant funds. Construction should be completed by July, 2014. If you have any questions about the project, please contact Angela Kirkpatrick at 803-327-9041.